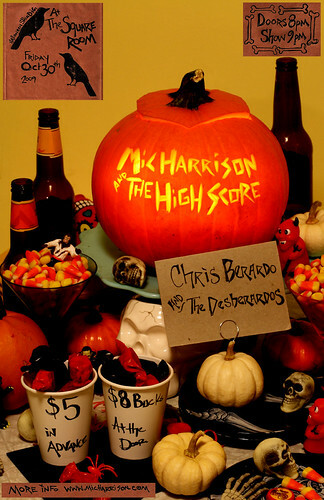 So, I just finished Mic Harrison and the High Score’s Halloween-y poster for Oct 30th. I couldn’t stop laughing the whole time I was carving the pumpkin. Fun stuff. So, I went to the fair last week here in good ol’ Knoxville, TN and took a couple of pictures at the demolition derby. 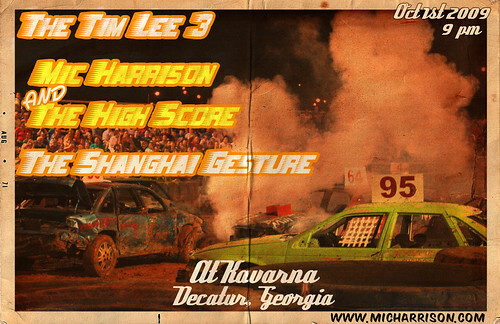 AND I just finished using them for a couple of flyers for Mic Harrison and the High Score, because it just makes sense. I’ve been mulling over this idea of a show about collections. Here’s my proposal as of now. I come from a long line of collectors. Collectors of books, driftwood, snake skins, hornets nests, music, cars, glasses, comic books, trading cards, watering cans, tea pots, tattoo machines, arrowheads, wineglasses, ect. They’ve collected with varying extremes from the small collection of four or five tea pots to my great grandmother who was a photographer and over the years collected thousands of photographs, in essence collecting moments in time. So, the act of collecting was a natural thing from a very young age, it was all around me. A natural part of everyday life, surrounded by objects. In fact my Great grandmother loved going to garage sales and wanted each of the great grandchildren to pick a favorite animal or item that she could then search for that items at garage sales. In my arbitrary child idea I picked cats. So I got them, week after week, ceramic cat finds from her garage sales. That started my first official collection. After that my collecting continued, but changed, I started collecting music, books, pins, stickers, retro dishes, old cameras, posters, photographs from flea markets, tattoos, ect. But I was always collecting, even when I didn’t realize it. I have a love hate relationship with collections and objects. I love minimalist ideals, have only what you need, nothing more. But something about the act of a great find at the thrift store of the flea market is amazing. Amassing this collection of awesome objects, to use, to admire. For what I’m not sure. This brings me to the purpose of this; exploring others collections, as well as my own. What makes this person collect bottle caps while this person collects stamps? Why collect anything at all? I plan on answering these questions by interviewing my fellow collectors and asking them about their collections. 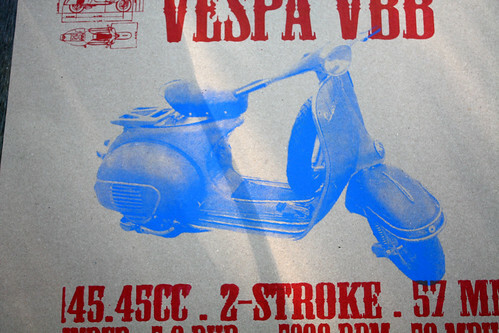 As well as documenting the collections with photographs. The culmination of this project will be displaying the photographs of the collections, along with the story of the collector. As well as the display of my actual collections. So, here’s where I need some help. Do you have collections? Are you willing to let me take photographs of them? 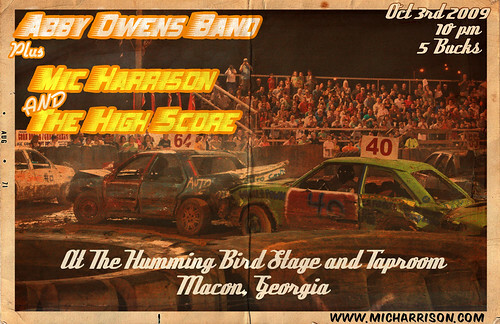 I just started doing some work for the Kevin Abernathy Band. Here’s the first one. 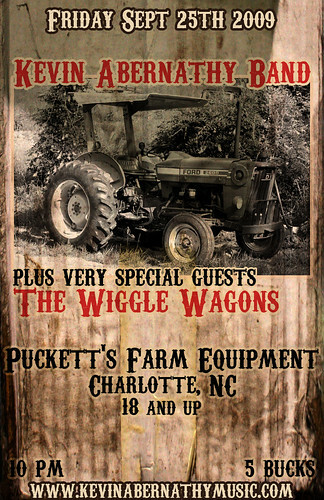 It was too hard to resist using a photo of my Dad’s tractor since the show is at an old farm equipment store turned into a bar. This summer has been kind of weird. It seems like I’ve been really busy without actually getting that much done…ah well. 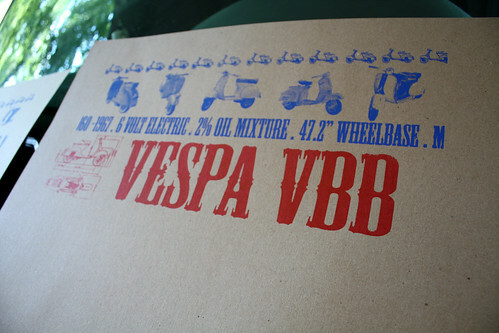 So far we’ve got one poster design and a couple of shirts going. It’s fun stuff, you should check out the website for more info. 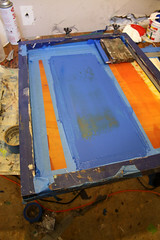 Here’s a couple of pictures from the first day of printing.